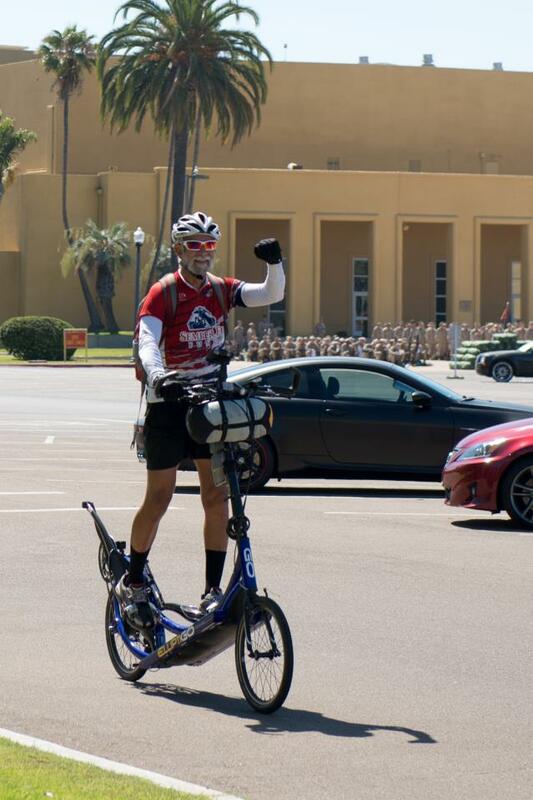 On Saturday, November 3, 2012 I rode/ran 102.5 miles in the Bike the Coast Century Ride from Oceanside, CA on the same ElliptiGO I used to go Coast to Coast this past Spring. 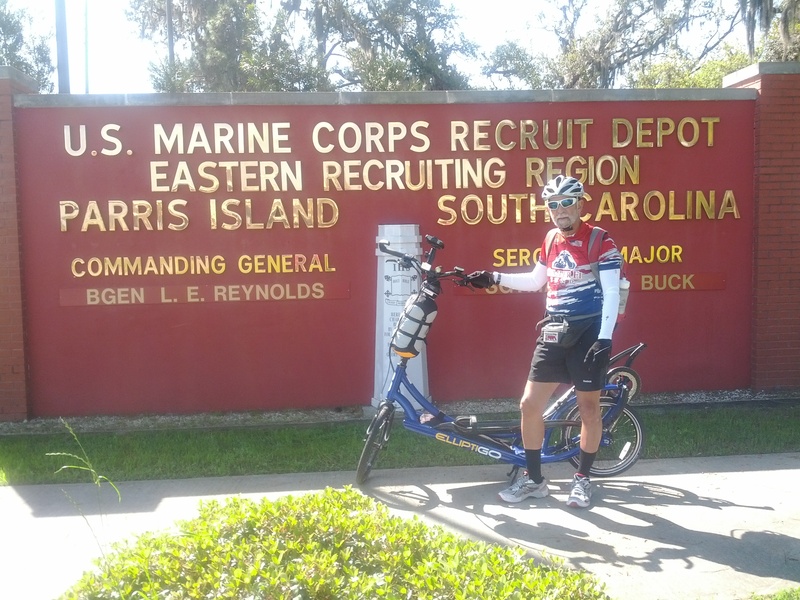 In the next 8 to 10 years I plan on completing a total of 100 Century rides throughout the USA. 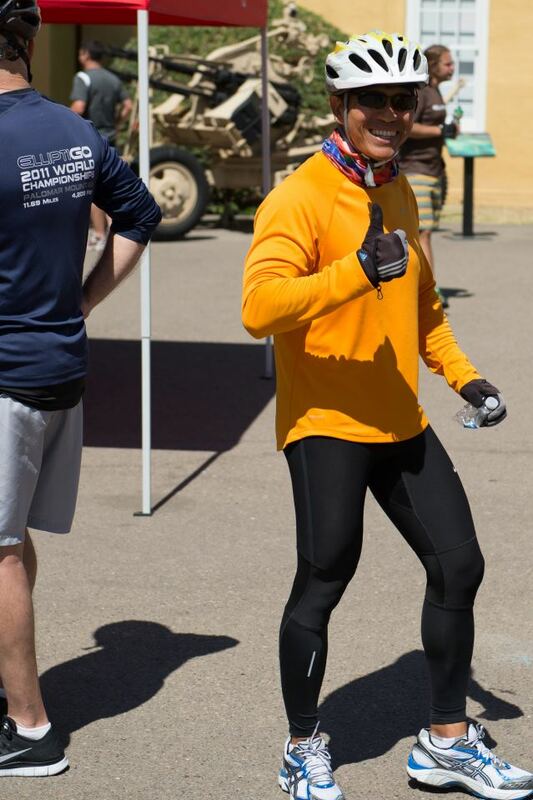 If I average one a month, it will take me 8 years and 4 months and result in doing the 100th one during February 2021, the month of my 80th birthday. 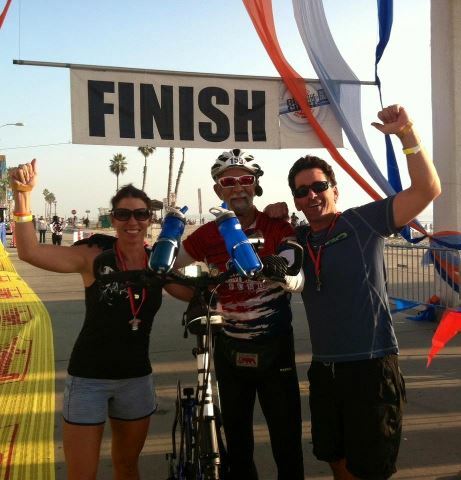 At the finish line with Clay and Patti Whiting who also did the Century but finished much earlier than me. 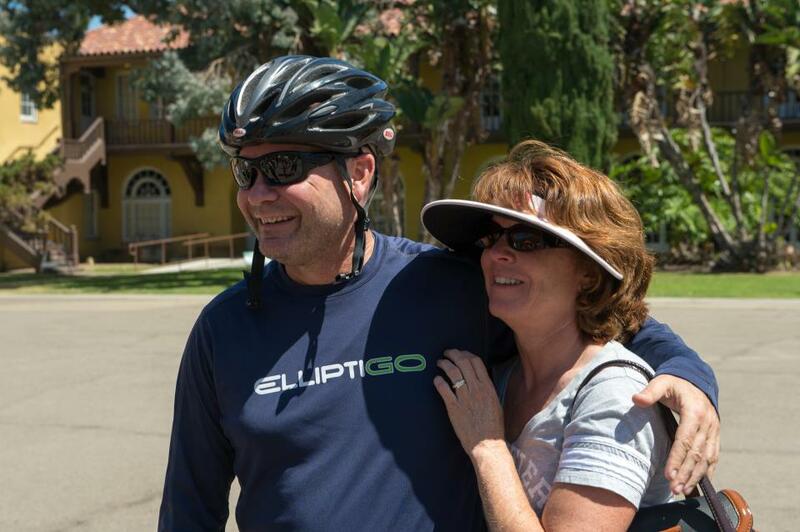 MORE ABOUT ELLIPTIGO/Compete/Epic Rides/Cross Country Ride. 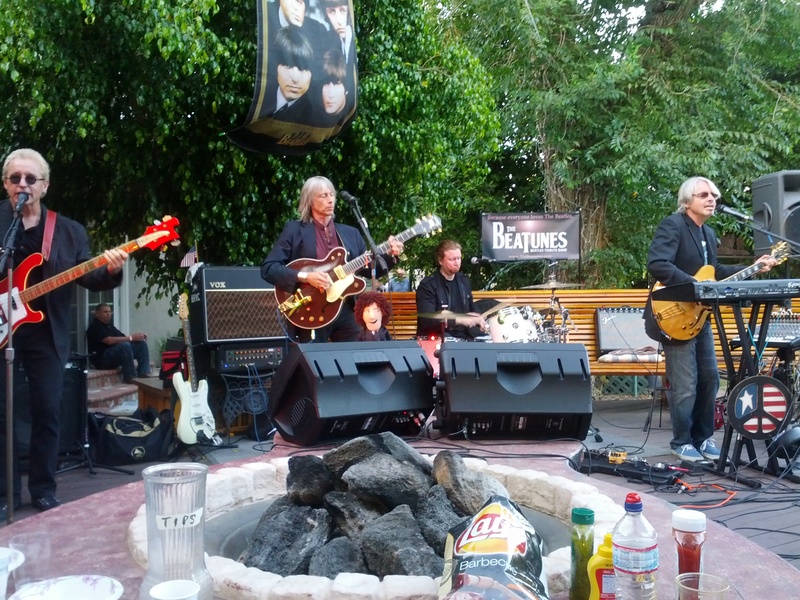 After doing the KTLA-TV interview in Hollywood, CA on the 4th of July I attended a house concert that evening featuring the Beatunes, a Beatles Tribute Band, and the next day drove to Berkeley to visit my son Zander and his wife Margaret and help celebrate his birthday which was on the 7th. 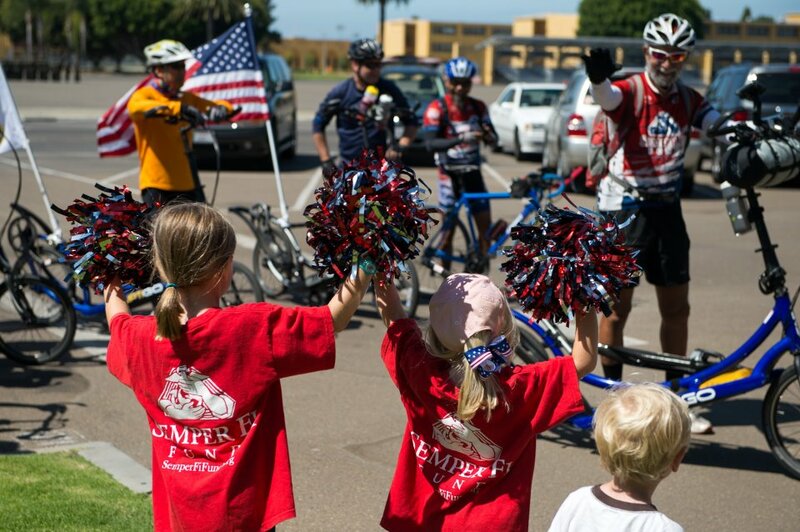 They recently moved back to the Bay Area after graduating from SDSU Graduate School. I have enjoyed spending time with them very much. 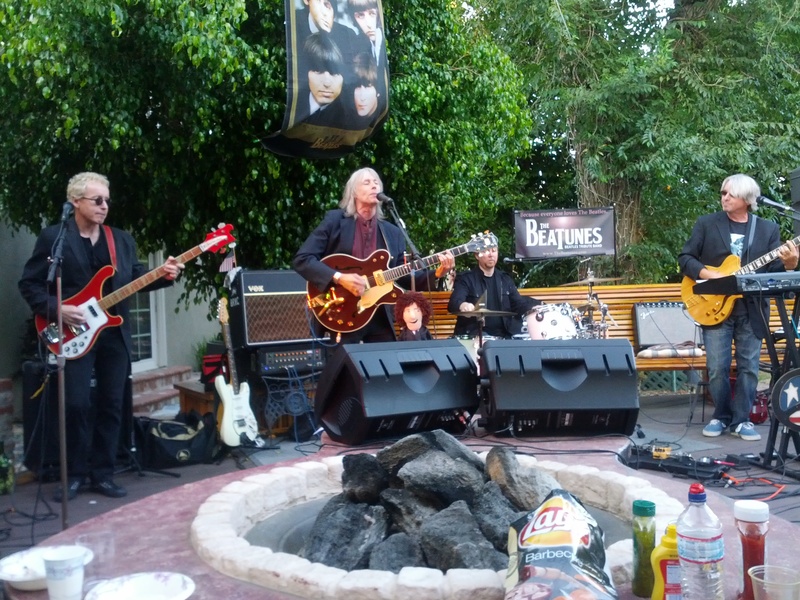 Thursday the 12th I will drive to Thousand Oaks/Westlake Village in Ventura County and spend a few days there visiting friends and attending another house concert at my friends Russ & Julie’s house on the 14th. 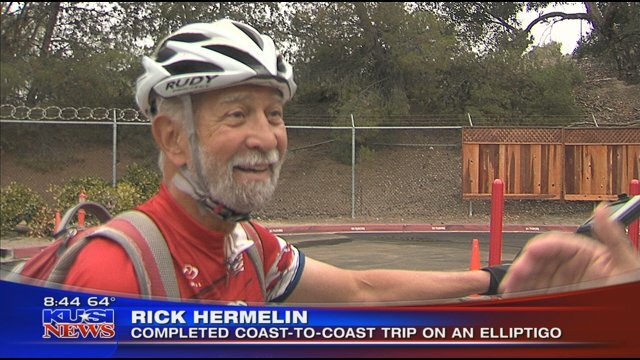 I will then return to the San Diego area to continue my training to prepare for the “Bike the Coast” Century Ride in Oceanside, CA on November 3, 2012. 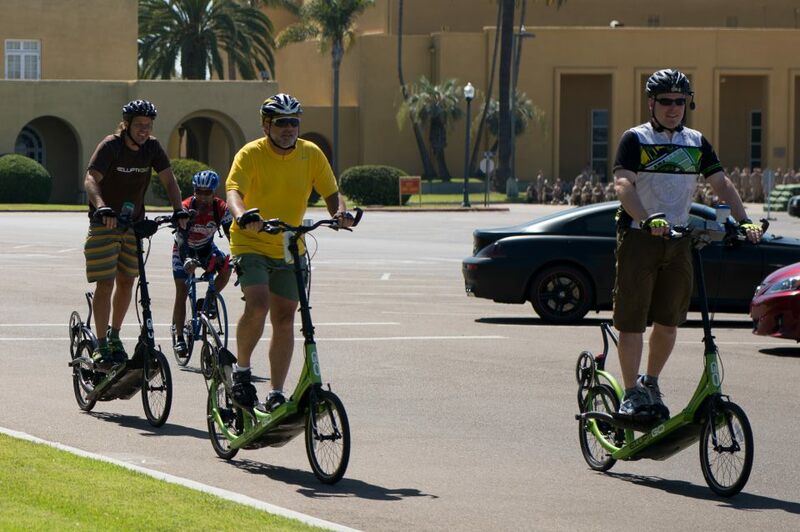 This will be another event with my “100” Theme which will allow me to become a member of the ElliptiGO Century Club. Had another good interview this morning at KTLA News in Hollywood. The interview went well and afterwards had a chance to have a good BBQ brunch provided by Ranch Hand BBQ from Newbury Park, CA who did a segment on the show after mine. Had a short but good interview this morning just outside the KUSI News building in San Diego. Got there a bit early but that gave me time to enjoy their pastries and bagels. Here it is finally, the last ride of the 100 day trip from coast to coast!! 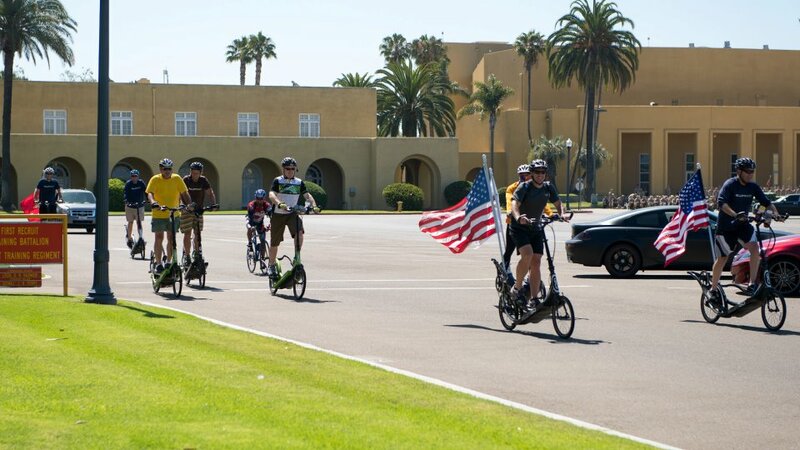 Eight ElliptiGO riders and one bicyclist joined me at the ElliptiGO Headquarters in Solana Beach and we took off shortly after 8 am. We followed a route selected by Bryan Pate and took us through Del Mar, up the hill to Torrey Pines then through the UCSD Campus. 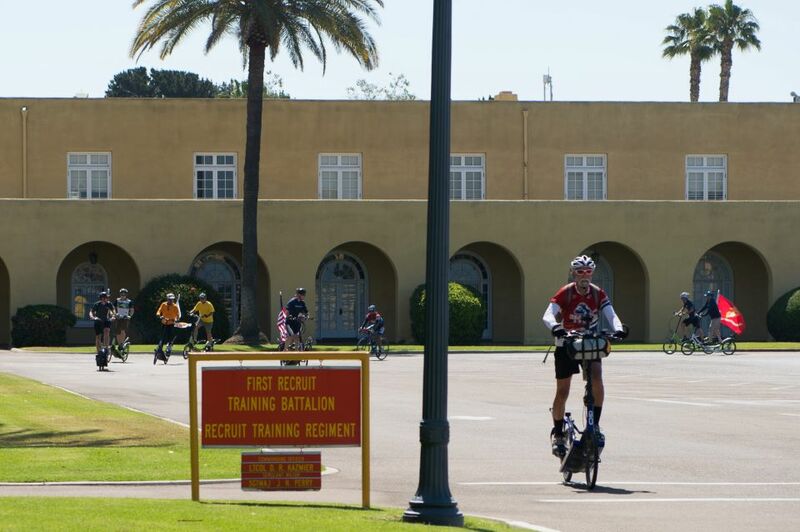 From there we took various trails and streets to get to Mission Bay then through Old Town and finally into MCRD. Inside MCRD we rode to the Base Museum where many guests welcomed us. 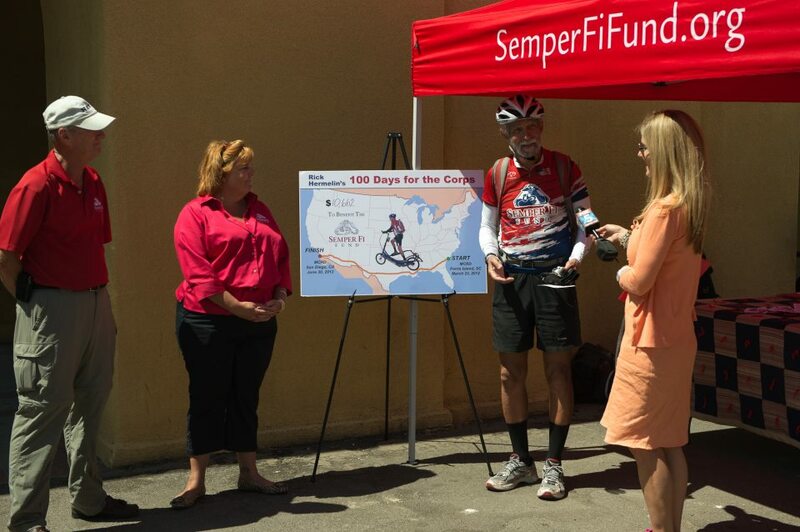 KUSI and FOX TV stations were there to do some interviews. 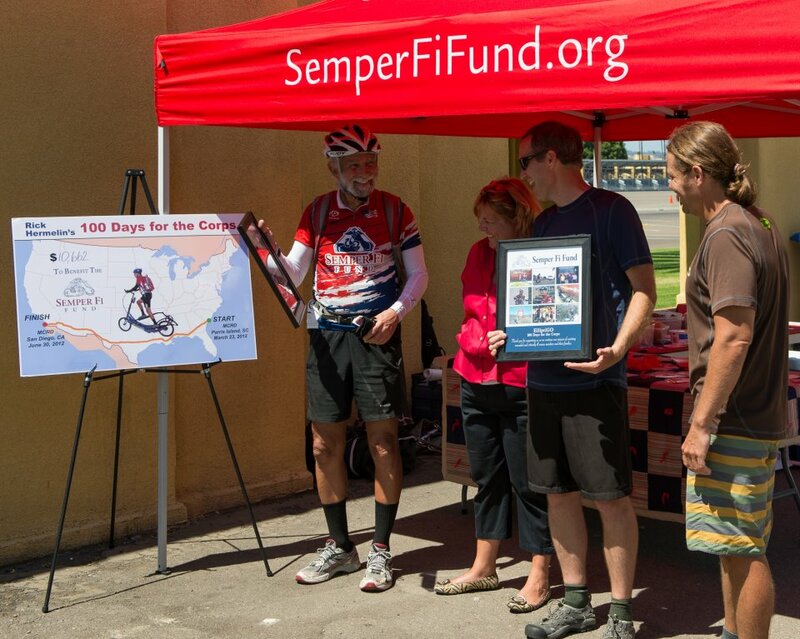 During the disclosure of the total money donated to the Injured Marine Semper Fi Fund, I, Bryan Pate from ElliptiGO, and Laura Castellvi from the Semper Fi Fund got a chance to say a few words and announce the total of $10,622 as of this morning. Here are a few pictures taken by Bill Pinnell and his wife.